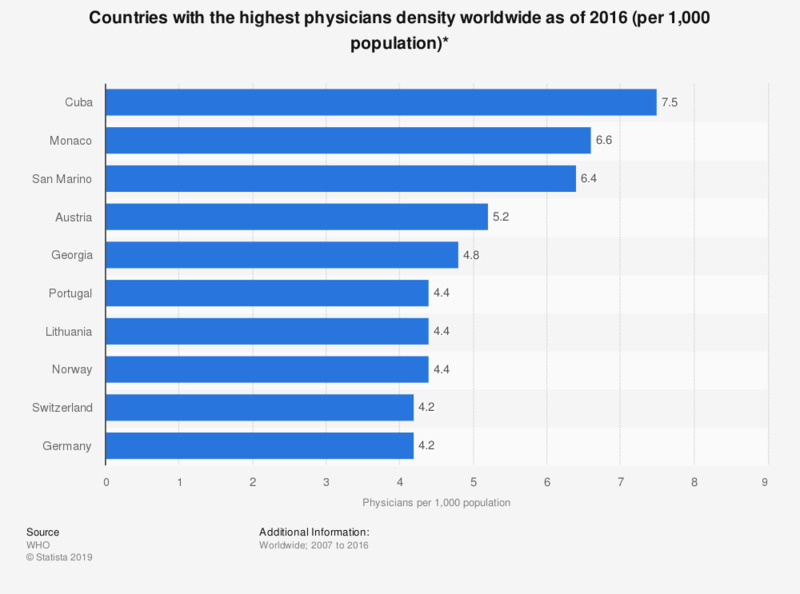 This statistic depicts the countries with the highest physicians density average worldwide for the period 2007-2016. In that period, Cuba was the country with the highest number of physicians in relation to its population. There were 7.5 physicians per every 1,000 of Cuba's population. * For the period 2007 to 2016.